According to a press release from the University, Saloner feared that controversy surrounding a wrongful termination lawsuit from a former faculty member will bring negative media attention to the GSB and will distract students and faculty members. Saloner is heavily implicated in the lawsuit. 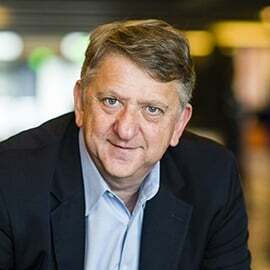 “I have decided that it is in the best interests of Stanford and the GSB, two institutions that I love, that I step down,” Saloner wrote in an email to the GSB community on Monday. During Saloner’s six-year tenure as dean, the GSB has raised over $500 million in private support. As one of two faculty members who has won the Distinguished Teaching Award at the GSB, Saloner was a lead figure in overhauling the MBA curriculum to allow more flexibility and customization in students’ coursework. Diversity in the GSB’s faculty has also increased during his time, with 54 percent of new faculty hires in the past two years being women. Other accomplishments during Saloner’s time as dean included the ongoing construction of Highland Hall, a new residence hall for GSB students that will be completed in spring 2016 and will accommodate 280 students, and the Stanford Institute for Innovation in Developing Economies in 2011, which aimed to improve quality of life through entrepreneurship and innovation coaching in developing areas such as West Africa. “We are grateful to Garth for his service and his many contributions as dean, and look forward to his continued contributions to teaching and research at the GSB for many years to come,” Hennessy added. A search committee appointed by Provost John Etchemendy will search for Saloner’s successor. Saloner said he plans to return to teaching classes on entrepreneurship and business to undergraduates, MBA students and Ph.D. students, as well as executive programs around the world. “I thank you for your support, commitment and dedication, and I will do everything I can over the next year to leave this great school in as excellent shape as it is now,” he wrote.